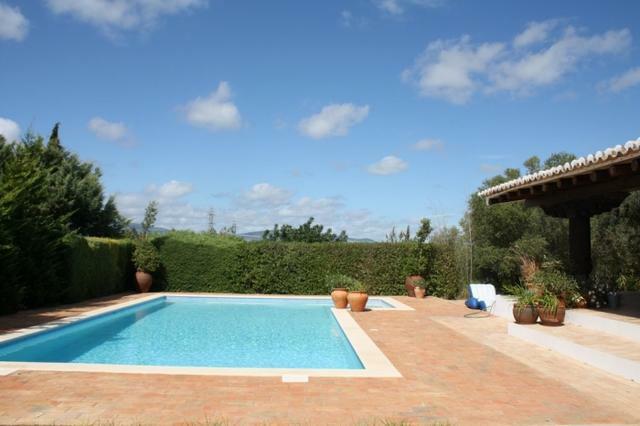 Luxury 4 bedroom villa on Serra e Mar - Property for sale. Full Description: The villa sits in an elevated position on the popular urbanisation of Serra e Mar. Recently refurbished to an exceptionally high standard with stunning features, this villa comprises of a large sitting room with doors out to the huge terrace and pool area. There is a large kitchen and dining area with doors out to the BBQ area. There are also 4 large double bedrooms, all en-suite and a further cloakroom. The property benefits from under floor heating, air conditioning and an alarm system. Serra e Mar is an exceptionally popular development with views to the Monchique mountains, but is less than 5 minutes from the 5 star luxury golf resort at Penina, and 10 minutes from the busy town of Portimao and the beaches at Alvor. This listing has been viewed 8936 times.